Satam al Suqami was one of the so-called “muscle hijackers” of American Airlines Flight 11, flown into the World Trade Center’s north tower as the first of the four 9/11 plane hijackings.National Commission on Terrorist Attacks upon the United States, Thomas H. Kean, and Lee Hamilton. 2004. The 9/11 Commission report: final report of the National Commission on Terrorist Attacks upon the United States. (Washington, D.C.): 231; 437, http://govinfo.library.unt.edu/911/report/911Report.pdf. As a muscle hijacker, Suqami helped to storm the cockpit and keep passengers under controlNational Commission on Terrorist Attacks upon the United States, Thomas H. Kean, and Lee Hamilton. 2004. The 9/11 Commission report: final report of the National Commission on Terrorist Attacks upon the United States. (Washington, D.C.): 227, http://govinfo.library.unt.edu/911/report/911Report.pdf. so that the hijacker-pilot, Mohamed Atta, could take control of the plane. The flight’s hijackers used pepper spray and the threat of a bomb to carry out the hijacking, during which they stabbed at least two unarmed flight attendants and one passenger.National Commission on Terrorist Attacks upon the United States, Thomas H. Kean, and Lee Hamilton. 2004. The 9/11 Commission report: final report of the National Commission on Terrorist Attacks upon the United States. (Washington, D.C.): 5, http://govinfo.library.unt.edu/911/report/911Report.pdf. Suqami was born in Riyadh, Saudi Arabia. Little is known about his early life, but he reportedly worked as a security guard for a hospital in Ta’if, had very little education, and may have had problems with drinking and drugs.National Security Archive, “The Plot and the Plotters,” Central Intelligence Agency Intelligence Report, June 1, 2003, 26, https://assets.documentcloud.org/documents/368989/2003-06-01-11-september-the-plot-and-the.pdf. According to Saudi authorities, Suqami had a minor criminal offense record.National Commission on Terrorist Attacks upon the United States, Thomas H. Kean, and Lee Hamilton. 2004. The 9/11 Commission report: final report of the National Commission on Terrorist Attacks upon the United States. (Washington, D.C.): 524, http://govinfo.library.unt.edu/911/report/911Report.pdf. He was not known to be particularly religious.National Commission on Terrorist Attacks upon the United States, Thomas H. Kean, and Lee Hamilton. 2004. The 9/11 Commission report: final report of the National Commission on Terrorist Attacks upon the United States. (Washington, D.C.): 232, http://govinfo.library.unt.edu/911/report/911Report.pdf. The 9/11 Commission reports that most of the Saudi muscle hijackers had developed their ties to extremism within Saudi Arabia, often at local mosques. Many began to break with their families in 1999 or 2000 and traveled to Afghanistan, where they volunteered to be suicide attackers after hearing Osama bin Laden’s speeches.National Commission on Terrorist Attacks upon the United States, Thomas H. Kean, and Lee Hamilton. 2004. The 9/11 Commission report: final report of the National Commission on Terrorist Attacks upon the United States. (Washington, D.C.): 232-33, http://govinfo.library.unt.edu/911/report/911Report.pdf. Suqami reportedly traveled to Afghanistan in 1999 with fellow muscle hijacker Majed Moqed.National Security Archive, “The Plot and the Plotters,” Central Intelligence Agency Intelligence Report, June 1, 2003, 36, https://assets.documentcloud.org/documents/368989/2003-06-01-11-september-the-plot-and-the.pdf. Suqami and Moqed reportedly met 9/11 architect Khalid Sheikh Mohammed (KSM) when he was working in security at the airport in Kandahar, Afghanistan.National Commission on Terrorist Attacks upon the United States, Thomas H. Kean, and Lee Hamilton. 2004. The 9/11 Commission report: final report of the National Commission on Terrorist Attacks upon the United States. (Washington, D.C.): 233-34, http://govinfo.library.unt.edu/911/report/911Report.pdf. Suqami and Moqed underwent basic training in weaponry at Khaldan, an al-Qaeda training camp near Kabul. All of the hijackers volunteered for suicide missions.National Commission on Terrorist Attacks upon the United States, Thomas H. Kean, and Lee Hamilton. 2004. The 9/11 Commission report: final report of the National Commission on Terrorist Attacks upon the United States. (Washington, D.C.): 234, http://govinfo.library.unt.edu/911/report/911Report.pdf. Suqami’s passport, which was issued in 1998,Federal Bureau of Investigation, “9/11 Chronology Part 01 of 02,” accessed July 7, 2017, 29, https://vault.fbi.gov/9-11%20Commission%20Report/9-11-chronology-part-01-of-02/. was reportedly “recovered on the street near World Trade Center by a civilian…soaked in jet fuel” on September 11, 2001, according to the FBI.Federal Bureau of Investigation, “9/11 Chronology Part 02 of 02,” accessed July 7, 2017, 291, https://vault.fbi.gov/9-11%20Commission%20Report/9-11-chronology-part-02-of-02/. According to his passport stamps, Suqami had traveled to the United Arab Emirates, Egypt, Malaysia, Turkey, Qatar, and Oman in 2000 and 2001.Federal Bureau of Investigation, “9/11 Chronology Part 01 of 02,” accessed July 7, 2017, 59, 60, 75, 76, 91, 100, 104, 131, 134, 136, https://vault.fbi.gov/9-11%20Commission%20Report/9-11-chronology-part-01-of-02/. However, there is reason to doubt that he actually traveled to these countries, as 9/11 Commission reports that Suqami’s passport was found to have been doctored by al-Qaeda.National Commission on Terrorist Attacks upon the United States, Thomas H. Kean, and Lee Hamilton. 2004. The 9/11 Commission report: final report of the National Commission on Terrorist Attacks upon the United States. (Washington, D.C.): 525, http://govinfo.library.unt.edu/911/report/911Report.pdf. The FBI also reports that Malaysian entry stamps, in particular, were used to “disguise travel to and from Afghanistan.”Federal Bureau of Investigation, “9/11 Chronology Part 01 of 02,” accessed July 7, 2017, 141, https://vault.fbi.gov/9-11%20Commission%20Report/9-11-chronology-part-01-of-02/. After completing his basic training sometime in 2000,National Commission on Terrorist Attacks upon the United States, Thomas H. Kean, and Lee Hamilton. 2004. The 9/11 Commission report: final report of the National Commission on Terrorist Attacks upon the United States. (Washington, D.C.): 234-5, http://govinfo.library.unt.edu/911/report/911Report.pdf. 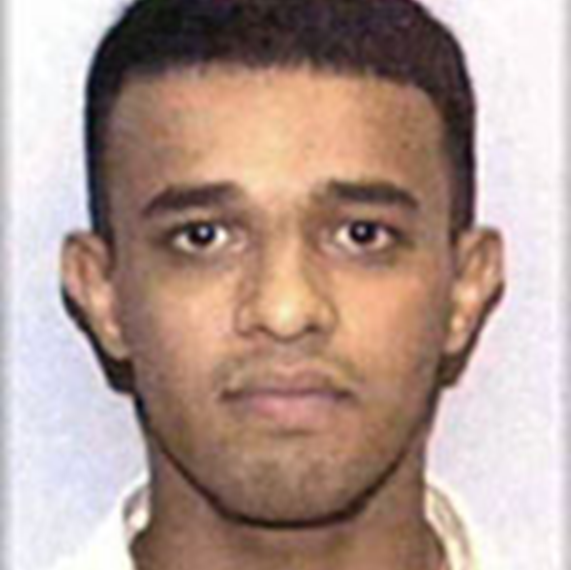 Suqami returned to Saudi Arabia, where he received a U.S. visa in Riyadh on November 21, 2000.National Security Archive, “The Plot and the Plotters,” Central Intelligence Agency Intelligence Report, June 1, 2003, 43, https://assets.documentcloud.org/documents/368989/2003-06-01-11-september-the-plot-and-the.pdf. Also in late November, Suqami and Moqed flew into Iran from Bahrain, possibly en route to Afghanistan, as some of the muscle hijackers were reported to have flown through Iran because Iran did not stamp Saudi passports.National Security Archive, “The Plot and the Plotters,” Central Intelligence Agency Intelligence Report, June 1, 2003, 240-1, https://assets.documentcloud.org/documents/368989/2003-06-01-11-september-the-plot-and-the.pdf. According to the 9/11 Commission Report, the so-called “muscle hijackers” returned to Afghanistan for special training in late 2000 or early 2001, where they learned to conduct hijackings.National Commission on Terrorist Attacks upon the United States, Thomas H. Kean, and Lee Hamilton. 2004. The 9/11 Commission report: final report of the National Commission on Terrorist Attacks upon the United States. (Washington, D.C.): 235-6, http://govinfo.library.unt.edu/911/report/911Report.pdf. All of the muscle hijackers were personally chosen by bin Laden during this time, after which they committed to carrying out a suicide operation and filmed a so-called “martyrdom video.”National Commission on Terrorist Attacks upon the United States, Thomas H. Kean, and Lee Hamilton. 2004. The 9/11 Commission report: final report of the National Commission on Terrorist Attacks upon the United States. (Washington, D.C.): 235, http://govinfo.library.unt.edu/911/report/911Report.pdf. Satam al Suqami was part of the first pair of muscle hijackers to arrive in the United States. He flew from the Dubai to Florida via London with fellow Flight 11 muscle hijacker Waleed al Shehri, arriving in Orlando on April 23, 2001.National Commission on Terrorist Attacks upon the United States, Thomas H. Kean, and Lee Hamilton. 2004. The 9/11 Commission report: final report of the National Commission on Terrorist Attacks upon the United States. (Washington, D.C.): 527, http://govinfo.library.unt.edu/911/report/911Report.pdf. They moved into a motel in Hollywood, Florida, on April 30,National Commission on Terrorist Attacks upon the United States, Thomas H. Kean, and Lee Hamilton. 2004. The 9/11 Commission report: final report of the National Commission on Terrorist Attacks upon the United States. (Washington, D.C.): 528, http://govinfo.library.unt.edu/911/report/911Report.pdf. staying in various motels and apartment complexes in southern Florida in the subsequent months.Federal Bureau of Investigation, “9/11 Chronology Part 01 of 02,” accessed July 7, 2017, 54, 87, https://vault.fbi.gov/9-11%20Commission%20Report/9-11-chronology-part-01-of-02/. On May 19, 2001, Suqami and Shehri traveled from Fort Lauderdale to Freeport, the Bahamas, but returned the same day after they were turned away by Bahamian officials for not having passports.Federal Bureau of Investigation, “9/11 Chronology Part 01 of 02,” accessed July 7, 2017, 143, https://vault.fbi.gov/9-11%20Commission%20Report/9-11-chronology-part-01-of-02/. The most likely purpose of the trip, according to the 9/11 Commission, was to renew Suqami’s immigration status, as his legal stay in the United States ended on May 21.National Commission on Terrorist Attacks upon the United States, Thomas H. Kean, and Lee Hamilton. 2004. The 9/11 Commission report: final report of the National Commission on Terrorist Attacks upon the United States. (Washington, D.C.): 241-2, http://govinfo.library.unt.edu/911/report/911Report.pdf. Suqami was the only hijacker not to receive a U.S. identification document.National Commission on Terrorist Attacks upon the United States, Thomas H. Kean, and Lee Hamilton. 2004. The 9/11 Commission report: final report of the National Commission on Terrorist Attacks upon the United States. (Washington, D.C.): 527, http://govinfo.library.unt.edu/911/report/911Report.pdf. Records show that he opened a bank account,Federal Bureau of Investigation, “9/11 Chronology Part 01 of 02,” accessed July 7, 2017, 140, https://vault.fbi.gov/9-11%20Commission%20Report/9-11-chronology-part-01-of-02/. purchased a car and auto insurance,Federal Bureau of Investigation, “9/11 Chronology Part 02 of 02,” accessed July 7, 2017, 158, https://vault.fbi.gov/9-11%20Commission%20Report/9-11-chronology-part-02-of-02/. and even joined a gym.Federal Bureau of Investigation, “9/11 Chronology Part 02 of 02,” accessed July 7, 2017, 156, https://vault.fbi.gov/9-11%20Commission%20Report/9-11-chronology-part-02-of-02/. He also took a trip on July 10 from Ft. Lauderdale to Orlando, where he stayed with an unidentified male for two nights.National Commission on Terrorist Attacks upon the United States, Thomas H. Kean, and Lee Hamilton. 2004. The 9/11 Commission report: final report of the National Commission on Terrorist Attacks upon the United States. (Washington, D.C.): 529, http://govinfo.library.unt.edu/911/report/911Report.pdf. On August 28, Waleed al Shehri purchased tickets for American Airlines Flight 11, bound from Boston to Los Angeles, for himself and Suqami.Federal Bureau of Investigation, “9/11 Chronology Part 02 of 02,” accessed July 7, 2017, 241, https://vault.fbi.gov/9-11%20Commission%20Report/9-11-chronology-part-02-of-02/. On September 6, Suqami traveled from Ft. Lauderdale to Boston with fellow Flight 11 hijacker Abdul Aziz al Omari, staying in Boston until the morning of September 11.Federal Bureau of Investigation, “9/11 Chronology Part 02 of 02,” accessed July 7, 2017, 258, https://vault.fbi.gov/9-11%20Commission%20Report/9-11-chronology-part-02-of-02/. On the morning of September 11, 2001, all five hijackers of American Airlines Flight 11 checked in at Boston Logan International Airport between 6:45 and 7:40 a.m. Suqami and two of the other hijackers were selected by a computerized prescreening system at Boston Logan, but were able to clear the security checkpoint and board the flight without issue. American Airlines Flight 11 departed at 7:59 a.m.,National Commission on Terrorist Attacks upon the United States, Thomas H. Kean, and Lee Hamilton. 2004. The 9/11 Commission report: final report of the National Commission on Terrorist Attacks upon the United States. (Washington, D.C.): 4, http://govinfo.library.unt.edu/911/report/911Report.pdf. scheduled to fly with nonstop service from Boston to Los Angeles. Suqami sat in seat 10B in business class.National Commission on Terrorist Attacks upon the United States, Thomas H. Kean, and Lee Hamilton. 2004. The 9/11 Commission report: final report of the National Commission on Terrorist Attacks upon the United States. (Washington, D.C.): 2, http://govinfo.library.unt.edu/911/report/911Report.pdf. The hijacking on American Airlines Flight 11 is believed to have begun around 8:14 a.m.National Commission on Terrorist Attacks upon the United States, Thomas H. Kean, and Lee Hamilton. 2004. The 9/11 Commission report: final report of the National Commission on Terrorist Attacks upon the United States. (Washington, D.C.): 4, http://govinfo.library.unt.edu/911/report/911Report.pdf. Based on reports from two flight attendants, it began when two hijackers stabbed the two unarmed flight attendants preparing for cabin service. A passenger named Dnaiel Lewin, who had served as an officer in the Israeli military, was also stabbed––most likely by Suqami, given his seat location directly behind Lewin. The flight’s hijackers claimed that they had a bomb, and sprayed pepper spray in the first-class cabin so that the hijacker-pilot, Atta, could enter the cockpit and gain control of the aircraft.National Commission on Terrorist Attacks upon the United States, Thomas H. Kean, and Lee Hamilton. 2004. The 9/11 Commission report: final report of the National Commission on Terrorist Attacks upon the United States. (Washington, D.C.): 5, http://govinfo.library.unt.edu/911/report/911Report.pdf. At 8:46 a.m. American Airlines Flight 11 crashed into the north tower of the World Trade Center, killing everyone on board and an unknown number of people in the tower.National Commission on Terrorist Attacks upon the United States, Thomas H. Kean, and Lee Hamilton. 2004. The 9/11 Commission report: final report of the National Commission on Terrorist Attacks upon the United States. (Washington, D.C.): 6-7, http://govinfo.library.unt.edu/911/report/911Report.pdf. The 9/11 attacks—including attacks on the World Trade Center, the Pentagon, and the thwarted attack headed for the White House or Capitol—left nearly 3,000 people dead in the single deadliest attack in U.S. history.National Commission on Terrorist Attacks upon the United States, Thomas H. Kean, and Lee Hamilton. 2004. The 9/11 Commission report: final report of the National Commission on Terrorist Attacks upon the United States. (Washington, D.C.): 7, http://govinfo.library.unt.edu/911/report/911Report.pdf. Sat AlSuqamiUnited States District Court Eastern District of Virginia, “Hijacker True Name Usage Chart for 2001,” accessed July 7, 2017, 18, http://www.vaed.uscourts.gov/notablecases/moussaoui/exhibits/prosecution/OG00013.pdf. Satam Al SaqamiUnited States District Court Eastern District of Virginia, “Hijacker True Name Usage Chart for 2001,” accessed July 7, 2017, 1, http://www.vaed.uscourts.gov/notablecases/moussaoui/exhibits/prosecution/OG00013.pdf. Satam al-SuqamiNational Security Archive, “The Plot and the Plotters,” Central Intelligence Agency Intelligence Report, June 1, 2003, 8, https://assets.documentcloud.org/documents/368989/2003-06-01-11-september-the-plot-and-the.pdf. Satam AlSuqamiUnited States District Court Eastern District of Virginia, “Hijacker True Name Usage Chart for 2001,” accessed July 7, 2017, 7, http://www.vaed.uscourts.gov/notablecases/moussaoui/exhibits/prosecution/OG00013.pdf. Satam M A Al SuqamiUnited States District Court Eastern District of Virginia, “Hijacker True Name Usage Chart for 2001,” accessed July 7, 2017, 18, http://www.vaed.uscourts.gov/notablecases/moussaoui/exhibits/prosecution/OG00013.pdf. Satam M. Al SuqamiUnited States District Court Eastern District of Virginia, “Hijacker True Name Usage Chart for 2001,” accessed July 7, 2017, 28, http://www.vaed.uscourts.gov/notablecases/moussaoui/exhibits/prosecution/OG00013.pdf. Satam MA Al SuqamiUnited States District Court Eastern District of Virginia, “Hijacker True Name Usage Chart for 2001,” accessed July 7, 2017, 2, http://www.vaed.uscourts.gov/notablecases/moussaoui/exhibits/prosecution/OG00013.pdf. Satamma AlSuqamiUnited States District Court Eastern District of Virginia, “Hijacker True Name Usage Chart for 2001,” accessed July 7, 2017, 19, http://www.vaed.uscourts.gov/notablecases/moussaoui/exhibits/prosecution/OG00013.pdf. Sattam AlsuqamiUnited States District Court Eastern District of Virginia, “Hijacker True Name Usage Chart for 2001,” accessed July 7, 2017, 24, http://www.vaed.uscourts.gov/notablecases/moussaoui/exhibits/prosecution/OG00013.pdf. Suqami SatammaalUnited States District Court Eastern District of Virginia, “Hijacker True Name Usage Chart for 2001,” accessed July 7, 2017, 18, http://www.vaed.uscourts.gov/notablecases/moussaoui/exhibits/prosecution/OG00013.pdf. Uthman al-SuqamiNational Security Archive, “The Plot and the Plotters,” Central Intelligence Agency Intelligence Report, June 1, 2003, 8, https://assets.documentcloud.org/documents/368989/2003-06-01-11-september-the-plot-and-the.pdf. Uthman bin Muhmmad ‘Abd al-Rahman al-SuqamiNational Security Archive, “The Plot and the Plotters,” Central Intelligence Agency Intelligence Report, June 1, 2003, 36, https://assets.documentcloud.org/documents/368989/2003-06-01-11-september-the-plot-and-the.pdf.